Black Friday is such a morbid name for something so glorious; the name reminds me of a funeral, wake or memorial. 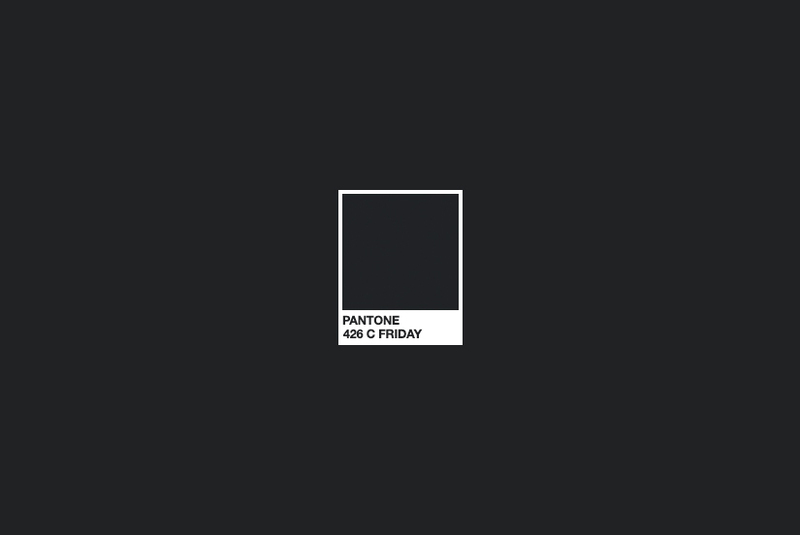 So instead Pantone 426C Friday seemed more modern and contemporary. Because we’re so bloody Americanized in this country (yes, the ‘Z’ was on purpose), we now have Black Friday, a day of incredible sales and offers that falls on the day after Thanksgiving and started in the UK by Amazon and Wallmart (ASDA). So there you go and below you’ll fine the best offers (and my favourites) around this year. This article first appeared on MANFACE written by Thom Watson. It was published on Friday 28th November 2014 and was last updated on Monday 3rd April 2017 at 1:45pm. It's categorised under Christmas 2014, Editorials where you'll find more related content.